Ready to learn a new langauge? Fluent Forever is a practical, down-to-earth guide for aspiring language learners that will leave you inspired and empowered to achieve fluency in your target language. In the book, readers are presented with the top tips and techniques in the industry to quickly and effectively learn any new language, as well as tried and true memorization techniques to lock the words and phrases in your memory so that you won’t forget. As owner and creator of one of the world’s top 10 language-learning sites (Fluent-Forever.com), Gabriel Wyner speaks six languages and shows readers the many methods, tips, and resources he used to achieve fluency. His book gives learners both the confidence and tools they need to achieve their language goals in their own time frame. It covers every aspect of learning, from vocabulary memorization (using innovative and time-saving techniques rather than mindless repetitions and drilling) to proper pronunciation, to effective listening and conversational skills. 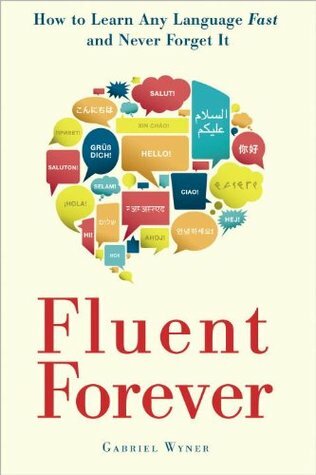 As someone who has always dabbled in learning foreign languages, I found this book exciting, eye-opening, and richly encouraging to help me along in my own studies, and I really can’t wait to start using the techniques in this book in the coming months to tackle my New Year’s resolution to finally achieve fluency in my family’s ancestral tongue of French. Fluent Forever is an incredibly useful resource for anyone who is interested in learning a new language. If you’ve always wanted to learn a language but didn’t know where to begin, or if you’ve tried the old school methods of by-the-book drilling without success, you’ll definitely want to give this book a try! Highly recommended. 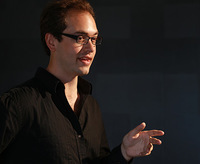 Author and founder of Fluent Forever. Over 1.5 million people have read my material to learn how to speak a foreign language and remember it forever. You may be searching for a way to successfully learn your first foreign language, or you may be looking for more efficient ways to learn your third or fourth language. I’m hoping to give you a set of tools to help accomplish either of these goals.